This post was written for inclusion in the monthly Carnival of Natural Parenting hosted by Code Name: Mama and Hobo Mama. This month our participants have written about siblings — their own, their hopes for their kids, and more. Please read to the end to find a list of links to the other carnival participants. When I was pregnant with my son, my older daughter, age two and a half, seemed to know him already. When I was three months along, I hadn’t said much more to her than, “There is a baby in my belly.” But she was certain that he was a boy, “mi hermanito,” and his name was Diego. And his favorite color was orange. 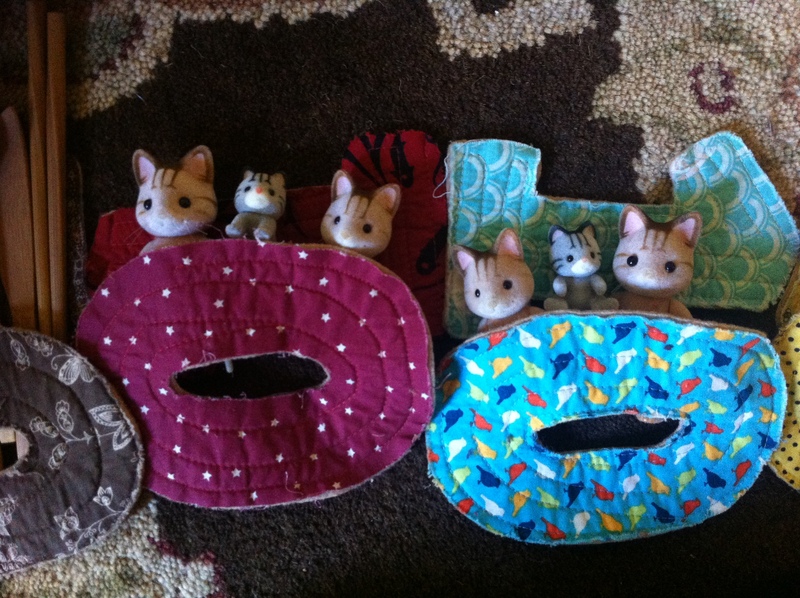 This was more than the imaginings she bestowed upon her baby dolls. She was convincing. One morning, as she cuddled and kissed my belly, she told me, “el bebé está en el oceáno.” What?! How did she know that? I got chills. She seemed to know him already. Maybe this was just a connection, a closeness, because she was so close to me. She knew other babies and loved to help with them, to play mothering with her many baby dolls and animals. She set up her animals sleeping in beds in between mami and papi, just like we sleep. She pretended to nurse them and swaddle them and put them to sleep. She loved to nurture in her play. But this felt different. Many cultures and thinkers believe that babies come from a spirit world, another universe, where they are waiting to come down to earth to find their families. Did my two children know each other there, before they came to me? Did my daughter remember something about being in my belly, or being in that other realm, herself? Did she remember her birth journey? Maybe it was just an emotional connection. But maybe it was more. My daughter was with us when her brother was born, at home. She played and played in the next room, with an adult friend of her choosing, all through the night as I labored. I could hear her laugh down the hall as I labored. She was on a parallel mission of her own, cheerful and steadfast, all through the night. When we called her in to meet him, she was tentative at first. But then certain and steady. Did she recognize him? After all that mystery and wondering who he would be, he seemed so familiar to me. Did she feel the same? She fell in love. The hardest part of these early months has been holding her back from “over-loving” him, a term I recently heard. She wants to hug him and kiss him and squeeze him as hard as she can, his cheeks and nose and round belly. I tell her over and over how to touch him carefully, and she pays no attention at all. When I ask her why, she says, “because I LOVE him,” in this desperate way, like she just can’t control it herself! And it’s true, he laughs and coos loudest when she tells him a story; he frenetically kicks and wiggles on his back when she dances and sings around the living room. When she leaves the room, he complains desperately. Then, two weeks ago, my own sister gave birth. To a baby boy of her own. I have felt a special bond with so many women who have labored and birthed and shared their experiences with me: friends, clients, neighbors. But this felt different. We spoke on the phone when she was in the hospital beginning her induction, on the brink of labor. I heard something in her voice, maybe fear and strength and the threshold of the journey all mixed in one. Something bigger. She lives across the country from me, and our level of intimacy and closeness has ebbed and flowed over the years. Sometimes we don’t talk for months. But with both of my sisters, there are moments when the ordinary world seems to peel away. In bigger life moments, I think I can see them through that other realm, in some kind of sacred and elevated way. I feel the fierce protective love for a girl, now a woman, I knew as a baby, and who floated in the same womb where I did long ago. I can’t wait to hold my new nephew in my arms. Now, it’s bath time again and I’m trying to get my 3 year old and 3 month old both washed with a minimum of screaming. Not looking good. But then, I catch a glimpse of their two faces side by side, individuals but so similar. My heart catches. It seems impossible that the melding of my husband and me could twice produce these beautiful faces, echoes of each other, these two people. I am transported for a minute, before the screaming picks up again. Sigh. Another brief moment of sibling transcendence in the chaos of the day-to-day. The Damage of Comparing Siblings — Comparing siblings can lead to hurt feelings and poor relationships. What Jana Falls has learned and why she hopes for more for her son. Connecting Through Sibling Rivalry — With four children who are spaced so that each child grows up in a pair, Destany at They are All of Me shares her method for minimizing the competition so her children can focus on bonding, rather than besting each other. 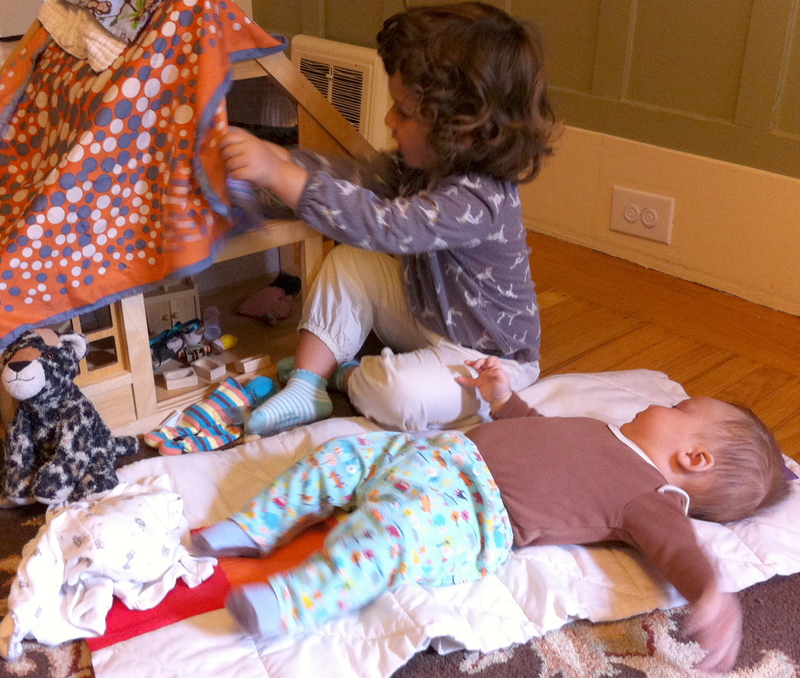 Sibling Revelry — Lucy at Dreaming Aloud shares the two-week transition that happens every summer as her kids transform from bickering to learning how to play. Baby Brother born from an Ocean — Abby Jaramillo describes how her toddler connects in a possibly mystical way with her new baby brother and his birth at home, and Abby draws parallels with her own sister’s new baby. Hard, But Worth It — Claire at The Adventures of Lactating Girl discusses how difficult having two children can be, but how it’s definitely worth it. Raising Attached Siblings — At Living Peacefully with Children, Mandy and her husband are making conscious choices about how they raise their children to foster sibling connection and attachment. It’s Complicated — Henrietta at Angel Wings and Herb Tea reflects on how life’s twists and turns have taken her from a childhood with no siblings to a constantly changing family life with five children, including one in spirit. Support — sustainablemum reflects on how the differences between her relationship with her siblings and her husband’s have affected their family and at a time of need. Peas in a Pod — Kellie at Our Mindful Life enjoys the special relationship her oldest two children share. Lessening the competitive enviornment in the home — Lisa at The Squishable Baby discusses how downplaying competition in the home has led to cooperation, not competition. The complex and wonderful world of siblings — Lauren at Hobo Mamareflects on her choices to have not too many children, spaced far apart — and how that’s maybe limited how close their sibling relationship can be. 5 Ways to Help Young Siblings Have a Loving Relationship — Charise I Thought I Knew Mama shares the strategies that help her three year old and 14 month old have a somewhat beautiful relationship and aid in keeping peace in their home. 4 Steps to Encourage Sibling Revelry, even in Hot Moments of Rivalry — Sheila Pai of A Living Family share 4 Steps she uses to shift hot moments of sibling rivalry towards connected moments of sibling revelry and human compassion. Twins Are Fun — Mercedes at Project Procrastinot witnesses the development of her twins’ sibling bond. Growing Up Together- Sibling Revelry in Our House — Amy at Me, Mothering, and Making it All Work realizes that there is great utility in raising siblings that are close in age, and is grateful to have been blessed with healthy siblings that both love and challenge one another every day. Top 5 Ways to Reduce Sibling Rivalry — Deb Chitwood at Living Montessori Now shares ideas that helped her two children be best friends along with Montessori resources for peace education and conflict resolution. Sibling Uncertainty — Alisha at Cinnamon and Sassafras wonders how her children’s relationship will change now that the baby is mobile. Living with the Longing — Rachael at The Variegated Life sees that she can live with her longing for another — without changing her plans. For My One and Only Daughter — Playing for Peace mommy reflects on her choice to not have more children in order to focus on other dreams. Siblings: A Crash Course in Relationship Training — How have your siblings prepared you for later relationships? One of Dionna at Code Name: Mama’s top priorities as mama of siblings is to help them learn how to navigate relationships. The Joys of Siblings: An Inside Joke — Ana at Panda & Ananaso shares the a glimpse into the joys of having siblings through sharing a perplexing yet hilarious inside joke betwixt her and her own. Sibling Support, even in the potty! — Even though Laura at Pug in the Kitchen‘s children didn’t start out best friends, they are joined at the hip these days, including cheering each other on with potty successes! Don’t Seek What Isn’t There – On Sibling Jealousy — Laura from Authentic Parenting analyzes the seeming desire people harbor for seeking out hints of sibling jealousy. Sibling Love / Sibling Hate? — Momma Jorje speculates whether her children will have a different sibling experience than her own. Did she make the right choices based on her own history? Oh Abby, this was beautiful. I feel like my littles have a special connection as well. It was such a blessing to watch Kieran bond with Ailia even before she was born, and to see the fierceness of his love and devotion bloom once Ailia she was earthside. I also felt so much closer to my sister when she was pregnant and giving birth, and I felt so grateful to be present for her second birth. Birth is such a connecting force! I remember the moment when my son’s energy entered. Your son sounds very lucky to have such a loving older sister, even if she does ‘over-love’ (which is a great term!). It’s so true that siblings just have a connection. I loved that the only person who could get Twig to laugh for a long time was big sister Peanut. Reading your post made me think back to those moments. Sometimes it feels like miles away when they’re screaming at each other. Thanks for sharing! This is so beautiful! I love your imagery. I’ve definitely seen the “over-loving” and yet the younger sibling’s embracing of same. What a sweet older sister you have for your little one. Absolutely beautiful! I believe some do share such a bond… I wish I had it in my own household, my own family. This is absolutely wonderful. So grateful you shared this. A blessed story, indeed. My little boy definitely “overloves” his sister. I’m constantly having to pull him off of her, but he’s rarely trying to hurt her.